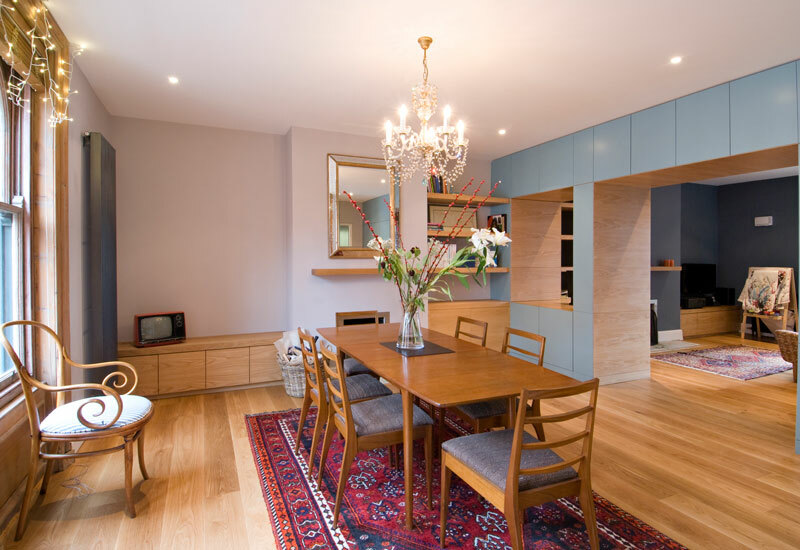 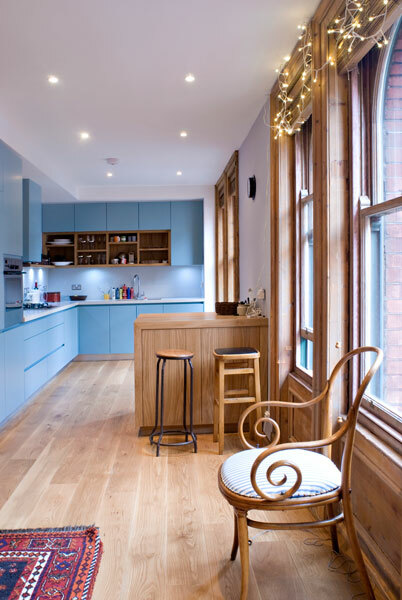 This project was the full refurbishment of an apartment within a listed building at George’s Street arcade on located on Exchequer Street. 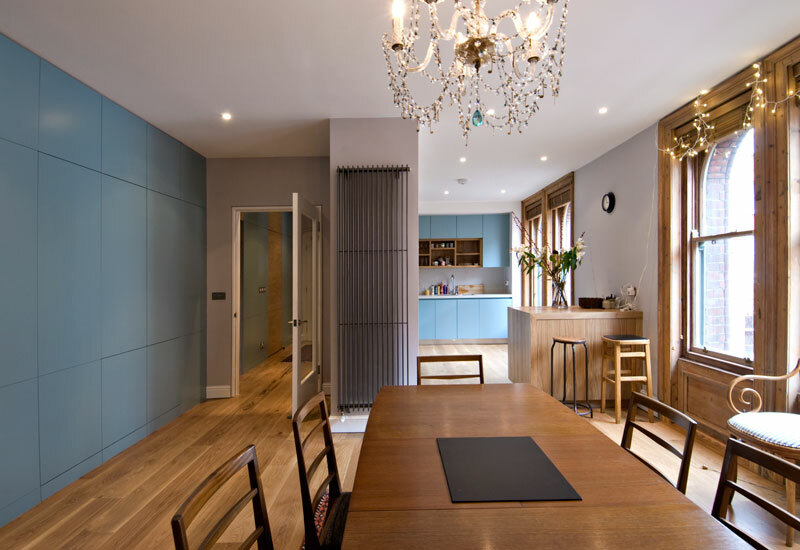 The key component of the design is a long wall of storage to meet all the storage needs of the family that also doubles as an acoustic wall with additional acoustic insulation to separate the courtyard side rooms from the active street side rooms of kitchen/living/dining. 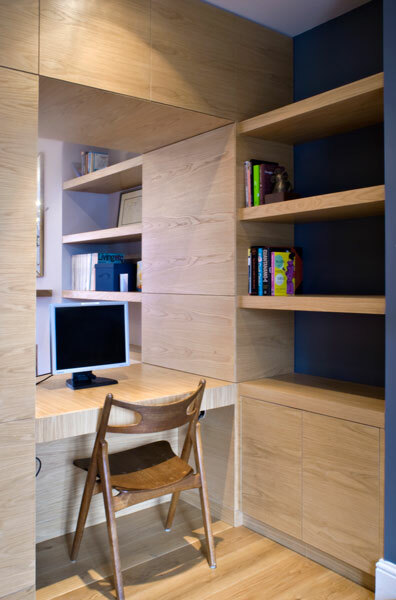 The storage wall is 800mm spine wall with some storage at full 800mm depth and other storage divided as 400mm accessible for both sides. 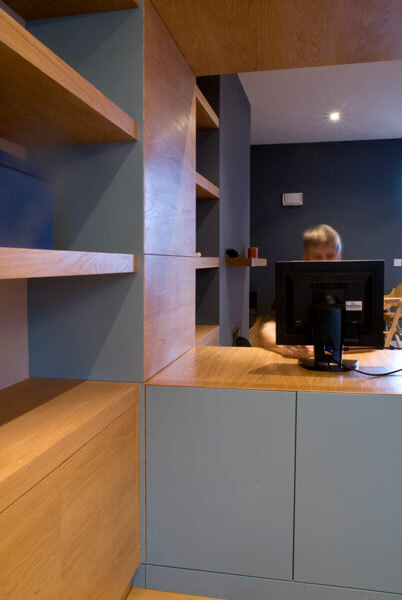 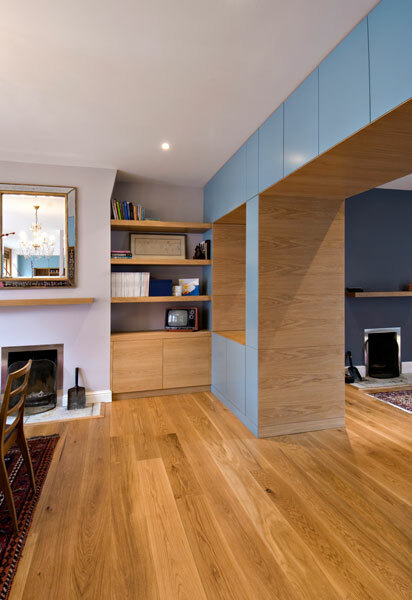 All the fitted furniture throughout is made by Wabi Sabi with a continuity of joinery detail, material selection and material finishes. 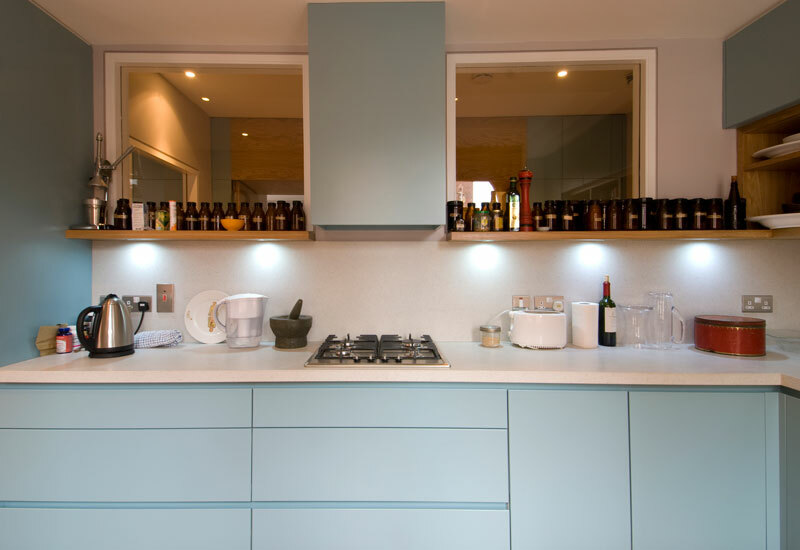 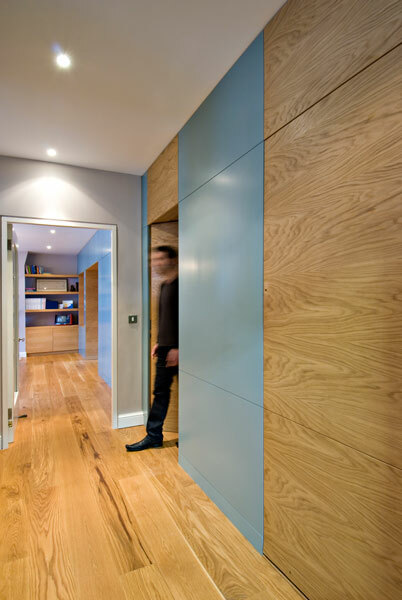 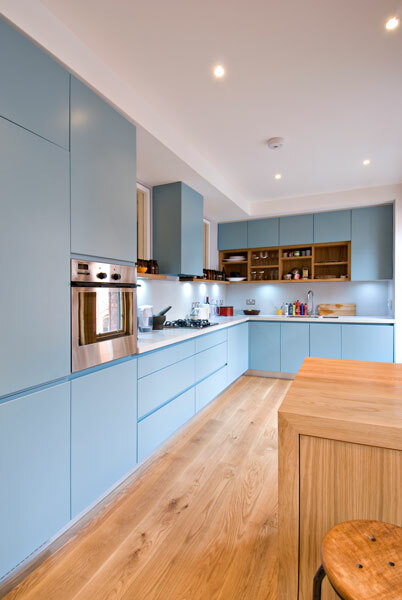 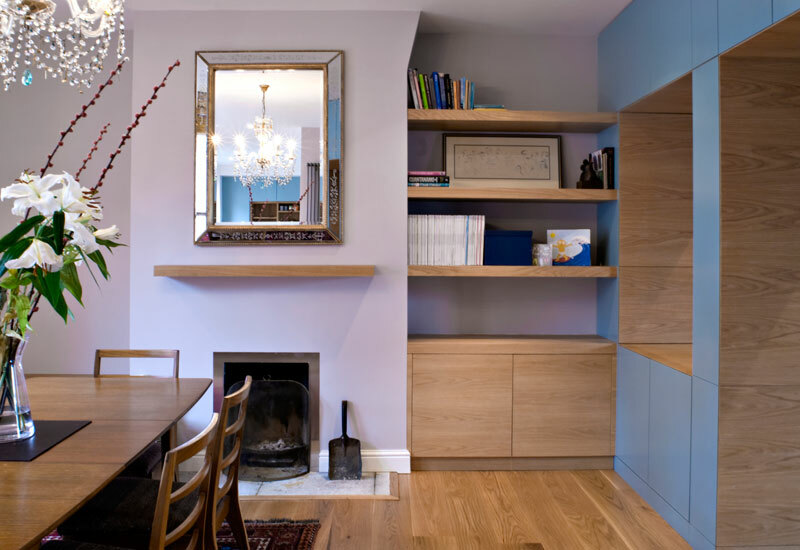 Spray painted doors, natural oak, and acrylic worktops provide a simple and limited palette of materials throughout.